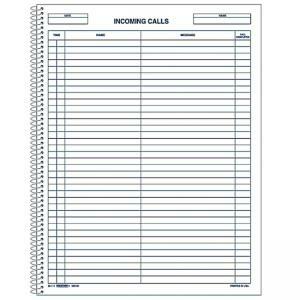 Rediform Incoming/Outgoing Call Register Book - 11" Length x 8.50"
Incoming/Outgoing Call Register Book features space for date, time, name, message and call completed. 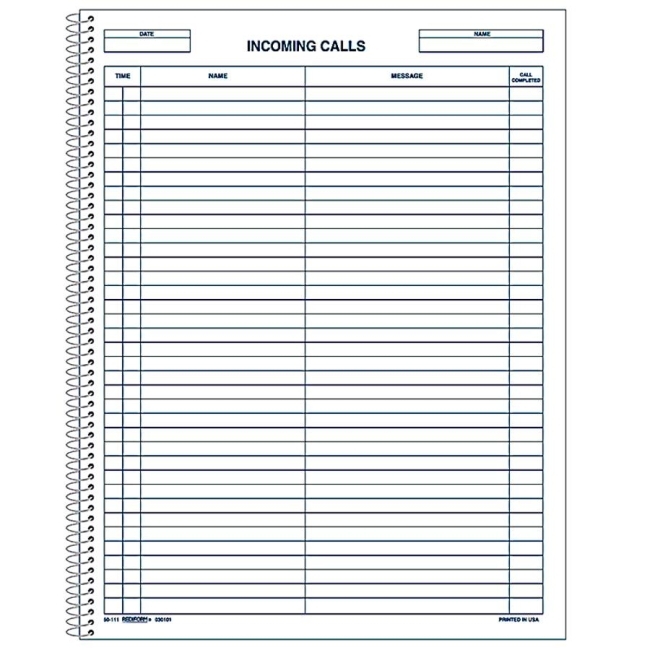 Left page logs are designed for calls in, and right page logs are designed for calls out. Book accommodates 3,700 messages. Wirebound design allows book to stay flat while you write messages. White stock is printed in blue ink. Register book is made from 100 percent recycled material with 30 percent post-consumer material.